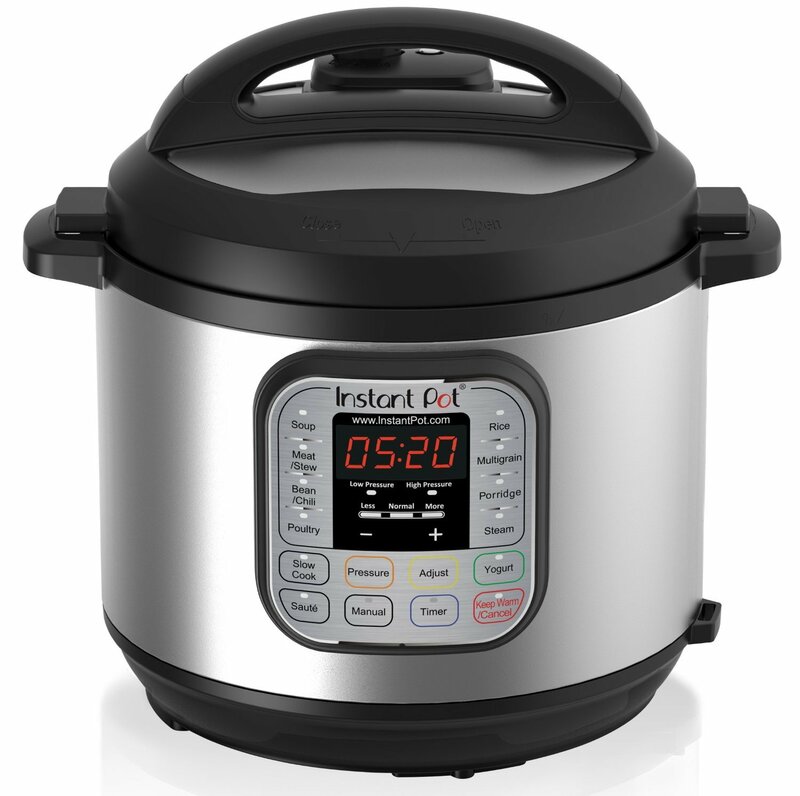 7-in-1 Multi-Functional Cooker--Pressure Cooker, Slow Cooker, Rice Cooker, Saute/Browning, Yogurt Maker, Steamer & Warmer. Please refer the user manual before use. Large, easy to use control panel with 14 Micro-Processor controlled programs, Dual pressure, Automatic keep-warm and 3 temperatures for saute and slow cook UL and ULC certified with 10 proven safety mechanisms; Highly energy efficient and kitchen friendly Includes 3-ply bottom stainless steel cooking pot, stainless steel steam rack with handle & manual and recipes in English, Spanish, Chinese and French Note: New Anti-Block Shield is used and the actual component may not match images shown in manuals. For pressure cooking programs, do not fill the inner pot over 2/3 full. For non-pressure cooking programs, do not fill the inner pot over the MAX line. 14 Micro-Processor controlled programs: Soup, Meat/Stew, Bean/Chili, Poultry, Sauté, Steam, Rice, Porridge, Multigrain, Slow Cook, Keep-Warm, Yogurt, Pasteurize and Fermented Rice (Jiu Niang) Dual pressure settings for fast and flexible cooking. Cooking with the high pressure reduces cooking time by up to 70% and the low pressure avoids overcooking delicate food.